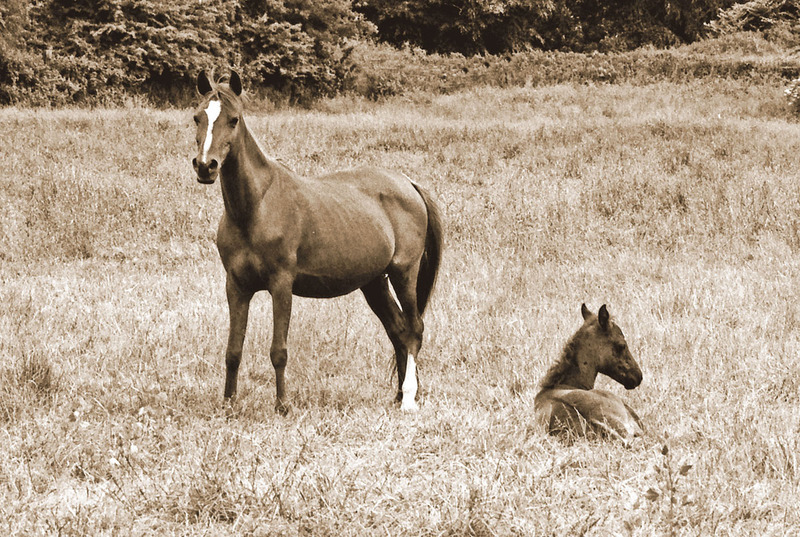 Estra (Karmin x Koranah) in 1982, guarding her eleventh foal by Kaisoon. Estra’s finest son, the 1968 stallion Estroon. 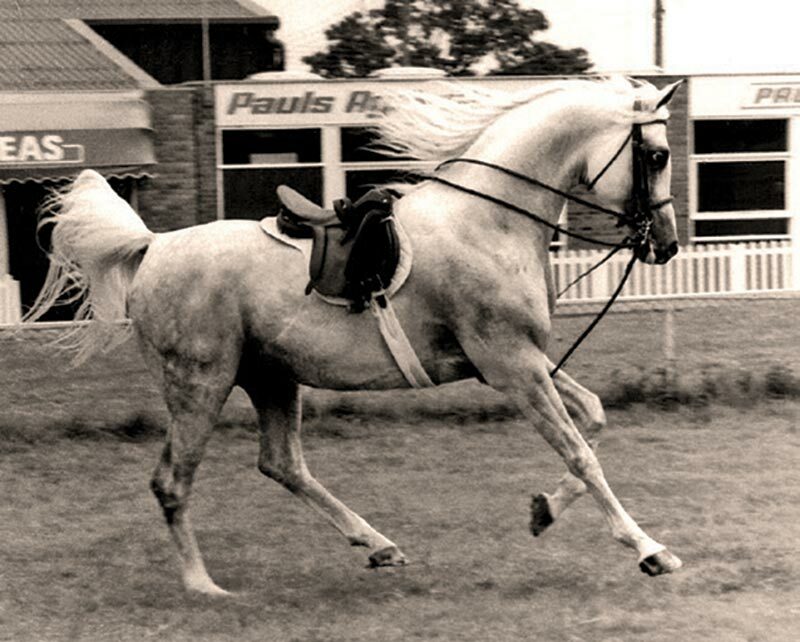 Estra’s best producing daughter in Germany, the 1972 mare Eskaja. HL El Ganador (HP Shakir Te x Lonco Baby Maria), Silver Champion Yearling Colt at the 2017 World Championships. We all know, if we have done our homework, that the Bedouins traced their horses’ descent through the dam line, beginning with a foundation mare that gave the family its name. This system provides a continuity that is the true backbone of the breed. 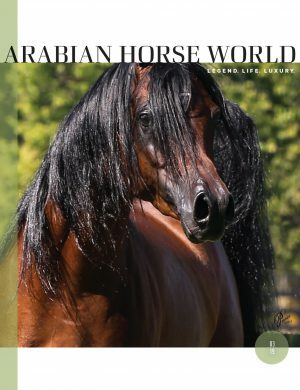 You can trace any living Arabian back to his or her mare family and, except for a handful of cases (European history being plagued by wars and thus untidy), back to the desert. While dam lines and origins seem to have become unfashionable today, people being more focused on their horses’ immediate ancestors and their (showring) achievements, they have always fascinated me. In fact, this is one of the things that first attracted me to the breed. Comparing horses and their forebears, watching families develop, can be endlessly fascinating. From time to time, it also throws up something totally unexpected. Let’s go back a little in time; not that far, just to the 1950s. 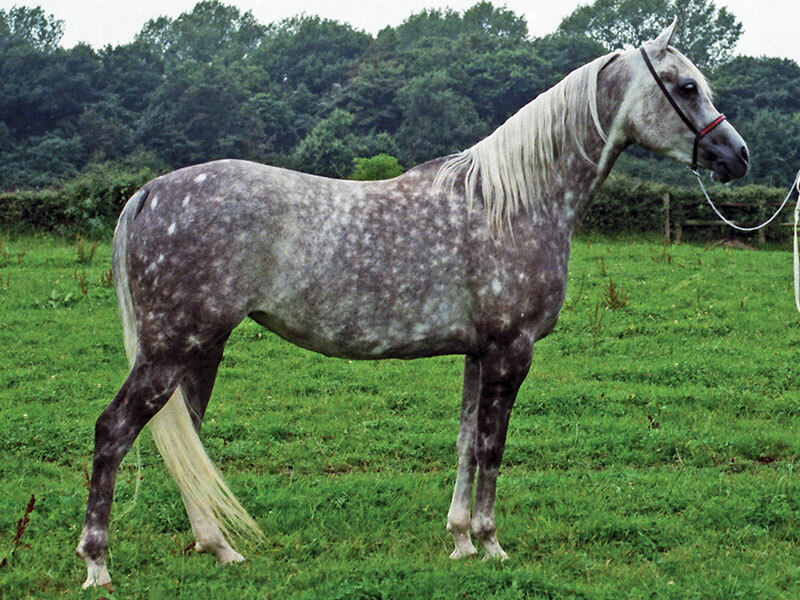 After World War II, Arabian breeding in Germany (like much else) had to be rebuilt. Just one of the country’s original 19th century Arabian dam lines still existed. As it happened, some purebred Arabians from Poland and from Hungary’s Bábolna State Stud were stranded in Germany after the war, and a very dedicated lady named Gertraute Griesbach collected these horses and founded Achental Stud, the first private stud after the war. The Bábolna mares in particular were priceless. 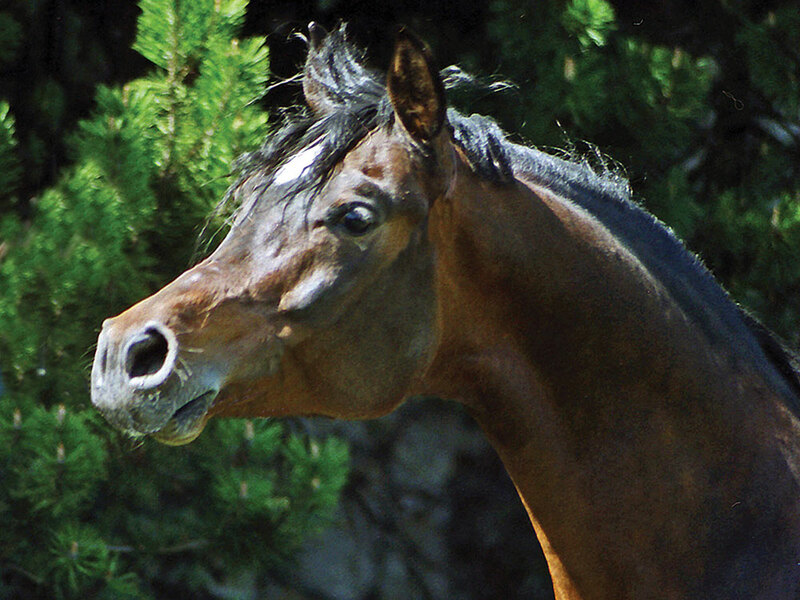 They represented the old desert lines imported directly to Hungary; bloodlines that were eventually lost in Hungary and are only preserved today through this particular handful of mares. Naturally, Achental horses became foundation stock for other stud farms. 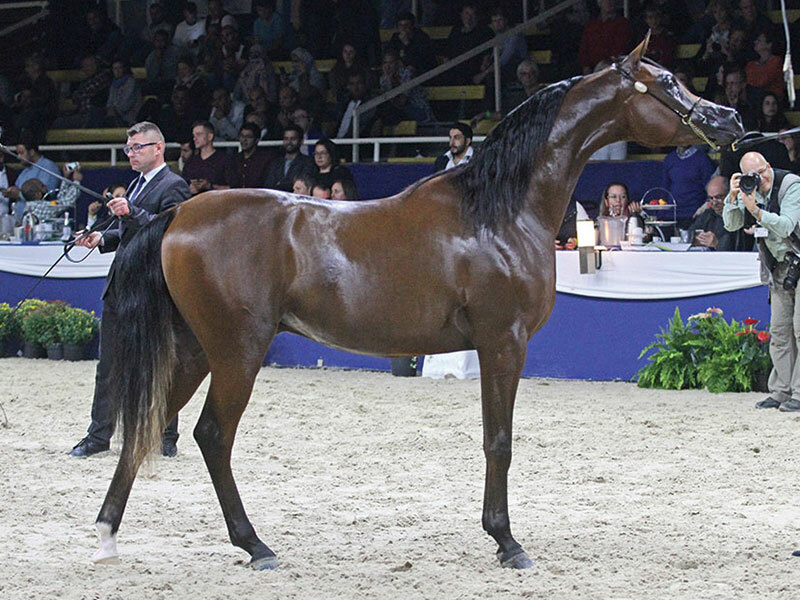 One of these was the small breeding program at the Duisburg Zoo, which I have mentioned before in these pages in connection with its famous herd sire, the Nazeer son Kaisoon (x Bint Kateefa) (December 2016, page 210). The foundation mares came from Achental. When I first visited the stud in 1982, those mares were long gone and the next generation already in its 20s. One of the mares I saw was Estra (Karmin x Koranah by Wisznu). Twenty years old at the time, she was a typical example of German post-war breeding with a pedigree made up of Polish and Hungarian horses. She was a granddaughter of Witraz (Ofir x Makata) and a great-granddaughter of *Witez II (Ofir x Federacja). 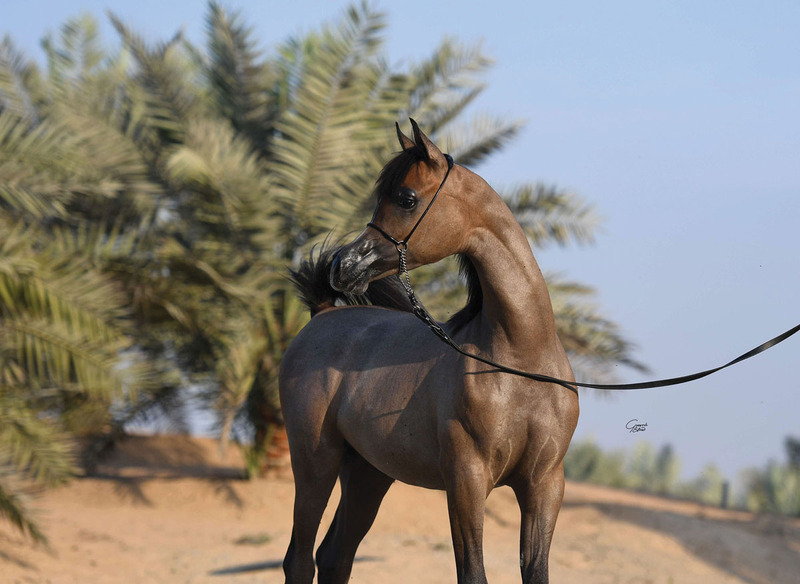 Her third dam was Kho-Rha, one of the Bábolna mares mentioned above, a daughter of the desertbred stallion Kuhailan Zaid. Through her dam, 2 Mersuch 1, Kho-Rha traced back through 14 (!) generations to the desertbred mare Tifle, foaled in 1810. That’s one of the oldest European dam lines tracing back straight to the desert. 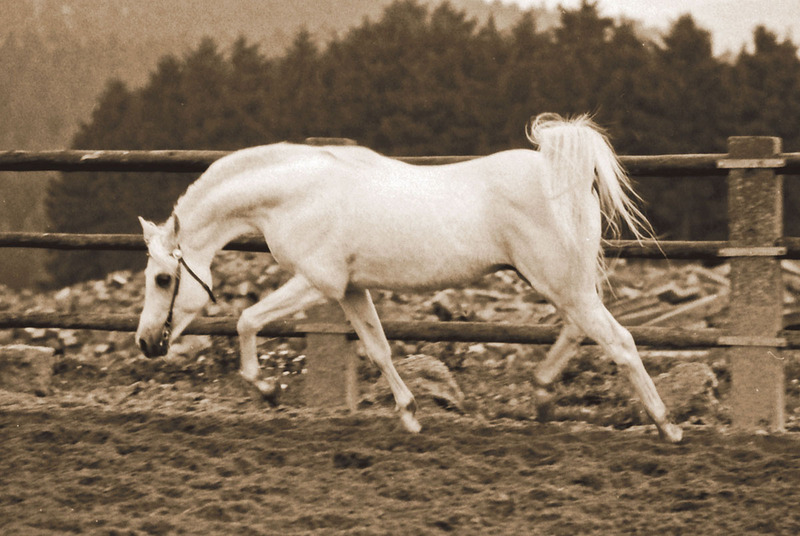 Kho-Rha was the only mare to continue this family in pure Arabian breeding. Estra was a nice enough mare, but in no way spectacular. 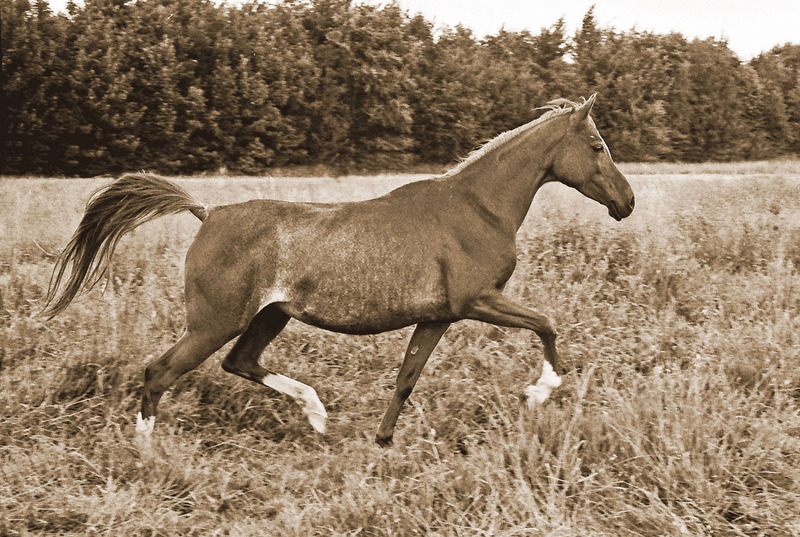 She was a fairly nondescript shade of chestnut with moderate white markings, with a plainish head and a far from perfect topline. She wasn’t show material even then, and she certainly wouldn’t turn any heads today. For all that, she was an excellent broodmare. She produced a total of 13 foals, the last when she was 23. All of them were by Kaisoon and a lot prettier than she was, including four breeding stallions and several broodmares. But the family is thin on the ground today; a victim of fashion, like so many others. At least in Germany. However Estra’s first daughter, a filly named Estraka, was purchased by Count Zichy-Thyssen in the early 1970s and taken to South America. She produced a filly there by Kaisoon who became a good producing mare; after that, she was bred a few times to Semit (Karmin x Hajar), a stallion also imported from Germany and a paternal half-brother to Estra. This appears to have been a particularly successful cross. Estraka became one of the cornerstones in early Zichy-Thyssen breeding, and her descendants are found today in Argentina, Brazil, Uruguay, and Chile. There are probably more of Estra’s tribe in South America these days than in Europe. All this is something I was not aware of until last year, when a yearling colt from Chile named HL El Ganador (HP Shakir Te x Lonco Baby Maria) appeared out of the blue and started winning championships everywhere. Since I was unfamiliar with his breeding, I took a look at his pedigree — and discovered to my amazement (and delight) that his dam line goes back via Estraka to Estra! Yes, to that same unassuming little chestnut mare I saw in a pasture back in 1982. A mare that sums up all of post-war German breeding and the immense efforts those first breeders put into preserving these bloodlines. Who would have thought then that 35 years later an ANC Gold Champion and World Silver Champion would emerge from this family, at a time when it had all but faded from sight? Continuity is still there, if you know how to find it. If you look closely, every horse is a living history book: a chapter in a story that begins deep in the past and, hopefully, continues long into the future.